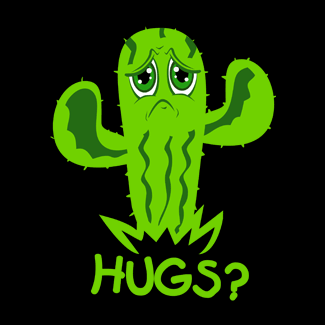 Cactus Wants Hugs But Who Wants To Hug A Cactus, Right? 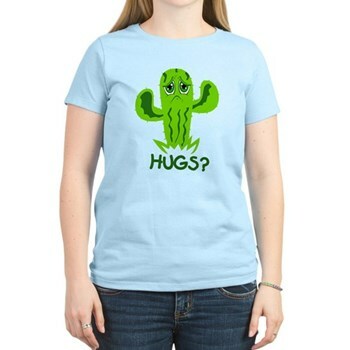 Adorably cute and funny to boot, the Hugs Shirt features a sad little cactus reaching for hugs that will never come. 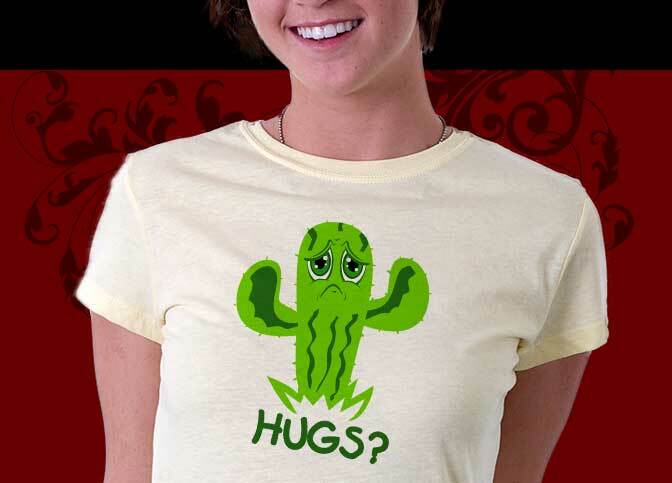 Everybody knows that when you hug a cactus, you pay the ultimate price in pain. Such are the ways of love. 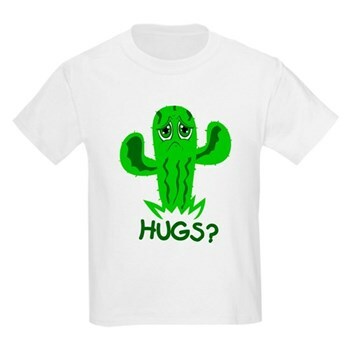 The Hugs Shirt is available in all sizes to fit everyone in the family and in great styles and wide range of colors so you have lots of great choices of name brand products with this adorable design. 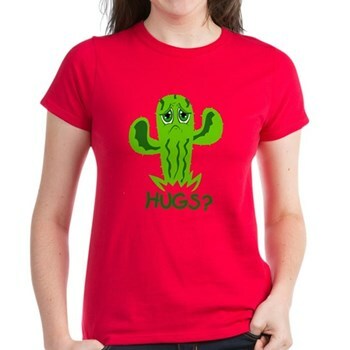 The Hugs Shirt makes a terrific gift for anybody you know who loves cute.